Anderson .Paak and Primus are the albums swapped in Episode 12. Malibu is the second album from Paak whose attention to detail is not just part of his name but evident in his music. Malibu was a breakthrough album for Paak spawning four singles and a Grammy nomination. 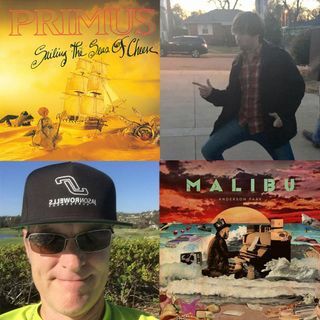 Sailing the Seas of Cheese is the second album from San Francisco's Primus, released in 1991 and contains the classic song "Jerry was a Race Car Driver." Episode 12 also debuts a new format. After taking some time ... See More to review the first 10 episodes we've decided to change the format a bit. Instead of reviewing all songs we now have a segment called "The Good, The Bad and the Boogie!" We still have some artist background and other segments such as our scoring but the hashtags are gone!